SEO is no longer a jargon for the site owners as it was the case once upon a time. When it’s all about SEO, every site owner pretends to be an expert and commits some fatal mistakes. Mostly, beginners are more prone to commit certain mistakes that can cost them their hard work. These mistakes can have serious implications with search engines like Google and may lead to a situation that the site is removed from search results. 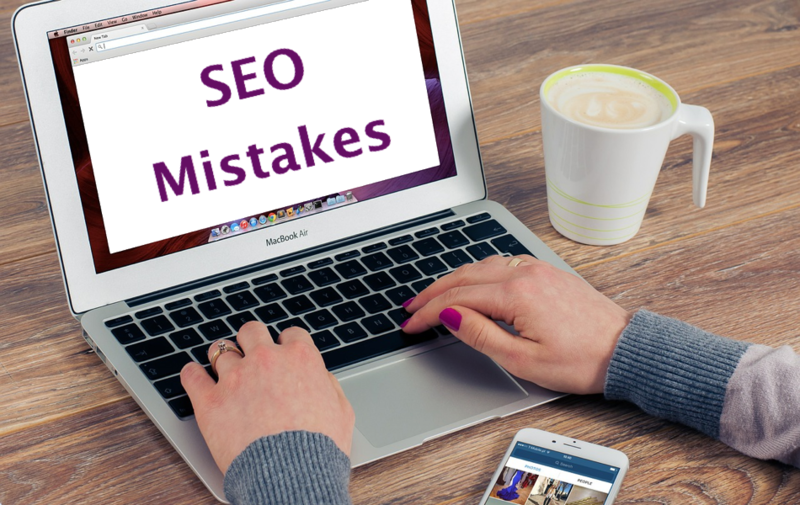 Here are some common SEO mistakes to avoid at any cost to keep your site’s ranking top on Google and other search engines. Most of the people start website to run blogs and start online business. In any case, it will take considerable time to get decent traffic to a website even though Google started showing the site in search results. A site needs a good reputation and external links to get a good ranking on Google. This is an external factor the site owner has very less influence. The more the quality content, it tends to get more quality backlinks automatically. Unfortunately it works other way round when people misunderstood the concept of external links. They try to create unnatural links by themselves, through SEO agencies and link exchanging platforms. Google has very clear stand on taking action against the sites having unnatural links built over quick time span. You can view hundreds of discussions on Google product forum on this topic to understand the reality of building paid or spammy links. So the first SEO mistake, never try to build unnatural links that may cost your site removed from search results. Wait sometime to get organic traffic to your site to start roadmap for your online career. You will be surprised to see what people do for getting good ranking on Google. The worst black hat SEO technique is to use the content with white color or very small font size of 1px. When we were reviewing one of the client website, we had found the site owner was using the text with white fonts. His intention was to get top ranking on Google for the local search keywords. His site was way beyond 20 results on third page for the specific keywords “Texas Restaurants”. We had cleaned up the site and resubmitted to Google and the result was amazing. The site was moved to first page on number six in a week time for the same content it has. But there could be bad sequences of doing such ugly techniques. Google may tag your site for webspam and delist or demote in search results. If you see manual spam action in your Google Search Console account then the only way is to submit reconsideration request after cleaning up your site. Generally this process will takes months together, as there will be millions of reconsideration requests to be processed manually by Google webspam team. So the second SEO mistake, ensure the content is readable in all devices and avoid using white fonts with white background to hide targeted keywords. While hiding keywords is the invisible way of mistake, keyword stuffing is the visible way of doing the same mistake. As a rule of thumb, write article for your audience and for search engines. When you are writing about SEO, obliviously there should be multiple instances of the word “SEO” in that article. What you need to do is to monitor the instances and ensure that the keywords are not used too much on the article. This is generally referred as keyword density and the acceptable range is a mere 5 – 10%. When you use 20% of the words on the article as your keyword, undoubtedly the article will be pushed down in the search results. Hundreds of such high keyword density articles written for search engines will deliver the poor outlook of your site to Google. So the third SEO mistake, write article for human users and not for search engines. Use keyword density and keyword planner tools to write SEO effective article for your readers. Running a successful website needs investment of time, money and effort in an appropriate direction. When a site started growing in size, the biggest problem for individual site owners is to maintain the frequency of updates. It is not possible for a single person to write articles and maintain a larger site getting 1 million visitors per month for example. So some of the time consuming activities like article writing are to be outsourced to third parties to focus on other key activities. It could also be the case that you are right away starting a site using third party content writers. People also buy established sites and start maintaining to run with freelancers. At any case, it is really difficult to get quality content writer on cheap basis. Either you need to spend considerable money or recruit dedicated people whom you like. We have tested this with cheap sites like Freelancer.com and found 90% of the bidders either don’t have necessary skills or reproduce the articles from other sites. Never rely on tools like Copyscape to believe the content is originally written. There are tools like article spinner which can rotate the words in a sentence to create a new sentence and pass the Copyscape. 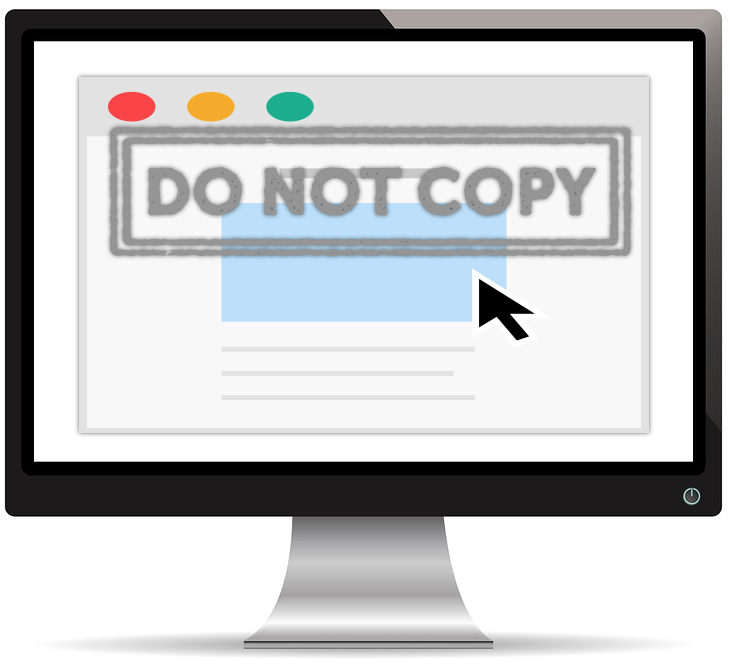 If you are maintaining site on your own then ensure not to reproduce or copy content from other sites. This will lead to a known result that your site will be banned permanently from search results. So the fourth SEO mistake, do not copy articles from other sites. When you use freelancers, ensure to pay high and get quality and original content. Not using unique and descriptive title and meta description for each page on your site. Using images without alternative text or stealing from other sites. Not using targeted keywords in title, meta description and URL. Not structuring the content with appropriate headings and sub-headings. Publishing articles with grammar and spelling mistakes with poor readability. All search engines show the title, meta description and URL on the results page. In certain cases, URL will be replaced with the breadcrumb structure used on the page. So using duplicate or non-descriptive title and meta description will results in low ranking. Also users will not click on the results if it is not attractive to them thus you will loos valuable traffic. So the fifth SEO mistake, use simple on-page optimization steps to excel your search ranking. Use tools to simulate how the page will look like on search results before publishing. Above are the five common SEO mistakes we have noticed people make. Focusing on black hat techniques without taking care of on-page optimizations will result in search engines penalizing your site. Once penalized, it is difficult task to bring the site back in search results. As prevention is better than cure, it is recommended to follow simple guidelines when optimizing your site. This will not only help to keep the reputation of your site but also drive traffic thus increasing the possibility of getting more customers.